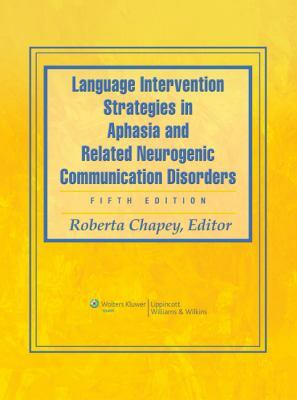 Revised and updated, this fifth edition is a helpful resource on aphasia and related neurogenic communication disorders. The text has been used by graduate speech language pathology students for over 25 years, and continues to a key resource across the speech sciences for aphasia.Chapey, Roberta is the author of 'Language Intervention Strategies in Aphasia and Related Neurogenic Communication Disorders', published 2008 under ISBN 9780781769815 and ISBN 0781769817. Loading marketplace prices 39 copies from $38.06 How does the rental process work?